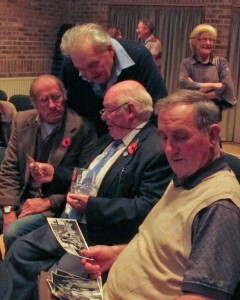 In November 2011 over 60 attended an illustrated talk by James Fisher on the history of sport in and around Lodsworth. Many of those attending had themselves participated in the sports that included cricket, football and stoolball. We also heard about two remarkable chess players who had both been Sussex county champions in the 1920s and 1930s and represented Lodsworth to win several trophies. We learned that Lodsworth Cricket Club was founded in 1876, though the earliest recorded game featured a match in 1891 against Easebourne to celebrate the silver wedding anniversary of Colonel and Mrs Hollist. Photographs from the 1930s showed cricket being played in a field just to the west of the village: there were no facilities at all in those early days. In the immediate post-war years cricket was played at the other end of the village just below St Peter’s Well in the field called Well Meadow. Here, at least, a basic pavilion was provided, even if the playing area was shared with a herd of cows! The advent of the present recreation ground in 1952 heralded a resurgence of enthusiasm not just for cricket but also for football and the introduction of stoolball. Stoolball originated in Sussex but for those less acquainted with the game, the opportunity was taken to explain its history and rules. The early history of football in Lodsworth followed a fairly similar path to that for cricket, the football club having been formed in 1898, and it seems possible that early games were played in the same field to the west of the village. Later the pitch was moved to the east of the village to the delightfully named Roly Poly field. The very name disclosed the difficulties encountered during play. In the years following the opening of the new recreation ground, all the clubs made use of the old pavilion transported from Well Meadow. There followed a succession of improvements and rebuilds until, in 2000, the new fully equipped Village Hall was erected and, with it, a hard tennis court. Having dispensed with a history of the places where games had been played, we were shown photographs of the participants through the years. 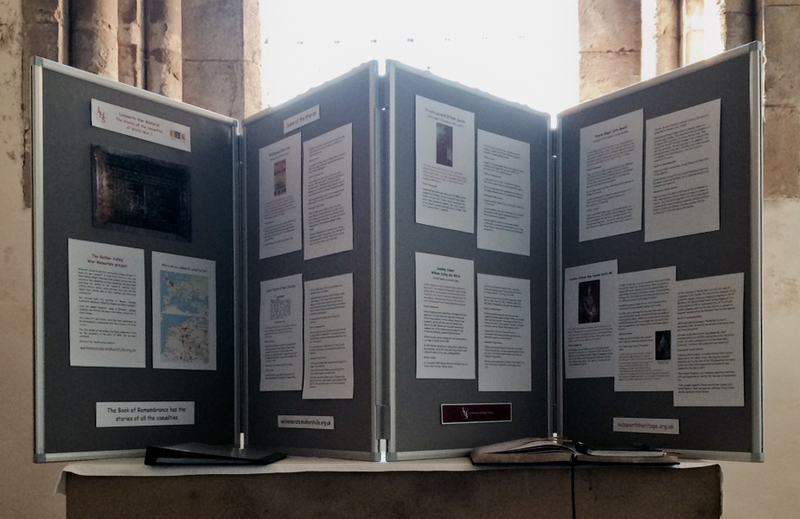 It was particularly rewarding to make the many family connections and to correct the presenter where he had got it wrong! During the latter part of the century, with the departure of younger families to the towns and the arrival of unlimited personal transport, the close knit relationship between the sports became fragmented. Until that time nearly all players lived in Lodsworth and took part in all three sports. Today there is as much enthusiasm as ever but, with the encouraging exception of several new cricketers, very few are Lodsworthians. During the evening audience participation enabled many gaps to be filled and errors corrected. James’s illustrated document A Century of Sport in Lodsworth has benefited from this feedback and from subsequent research following up leads from that meeting.